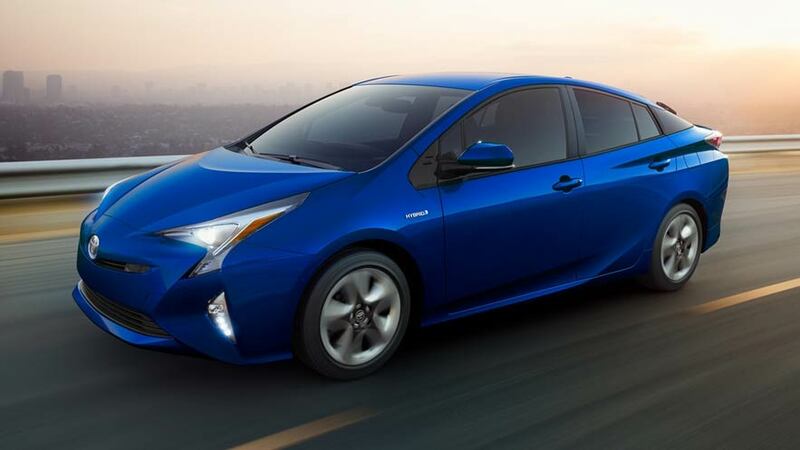 2018 PriusLed the revolution. Still a brilliant solution. 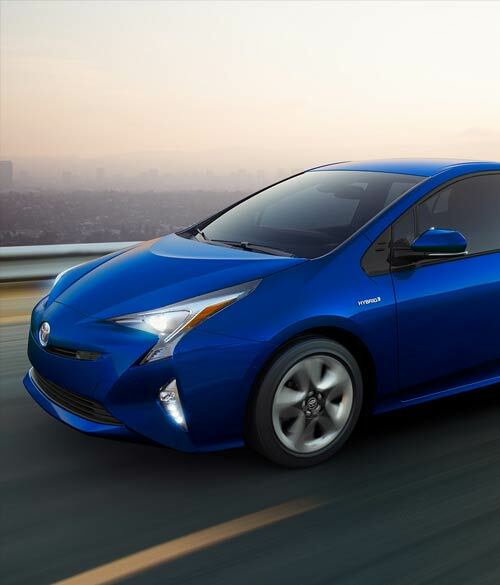 Every 2018 Prius model is equipped Toyota Safety Sense™ P (TSS-P), an advanced suite of safety technologies to help you drive with confidence. Ultra-modern seat design, including front seats with deep bolsters, and an impressive available 11.6-in. 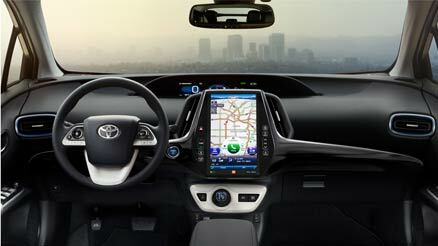 multimedia display make the interior of Prius both smart and fun. 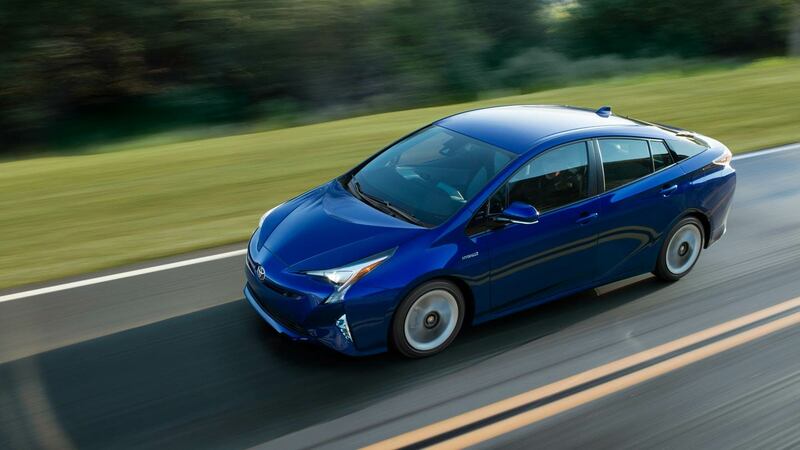 A double-wishbone style multi-link rear suspension combined with the body rigidity and aerodynamics of Prius help create a stunningly smooth ride. Standard on Prius Four and Four Touring is an impressive 11.6-in. HD multimedia display. Intuitive pinch, zoom, tap and swipe gestures create a familiar tablet-like experience, giving you easy access to the features that matter most. Get more of what you want, inside and out. 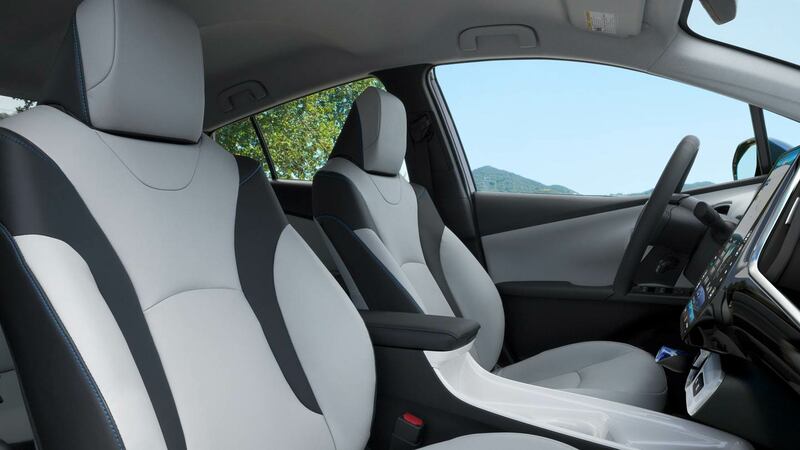 Smart seat design gives everyone room to stretch out. Helping you stay in control of it all is advanced tech like a standard 4.2-in. color dual Multi-Information Display (MID) with customizable screens and an available 11.6-in. touch-screen display. And with available Qi-compatible wireless smartphone charging, you can stay powered up while on the go. Take hold of the fun. The available SofTex-trimmed steering wheel offers tilt and telescopic adjustment for maximum driving comfort. You can also control the audio, Multi-Information Display and Bluetooth hands-free calling right from the steering wheel. 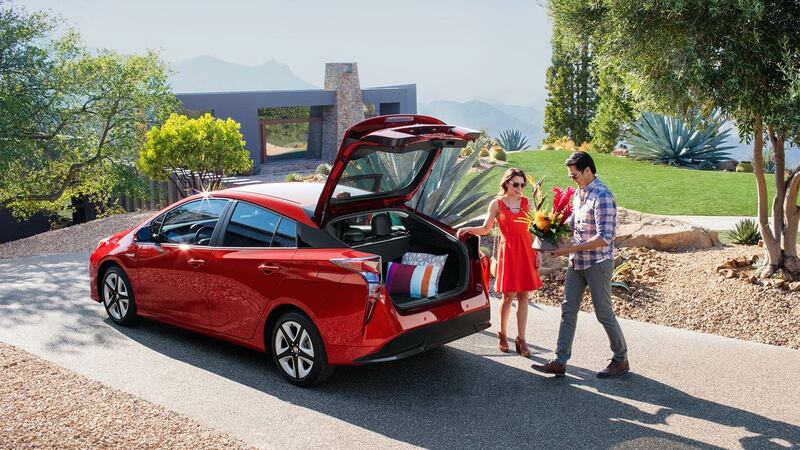 The standard 60/40 split fold-down rear seats on Prius make it easier to carry those longer items, your friends, or both. 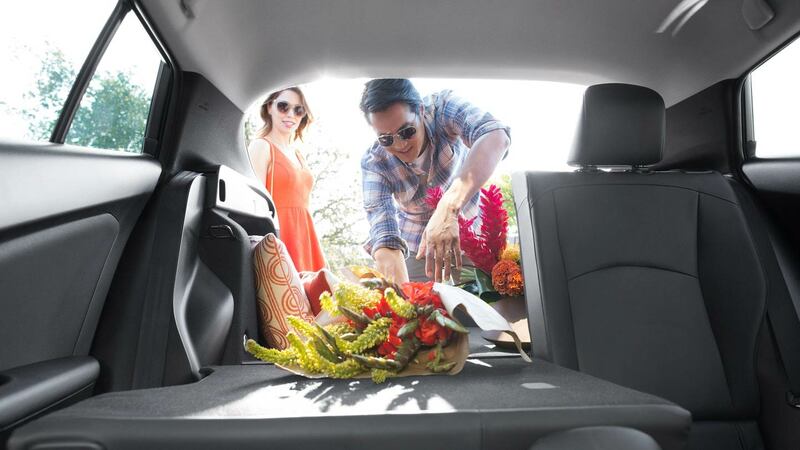 Fold one seat flat to get a little extra space, or fold both for a larger cargo area. With up to 27.4 cu. 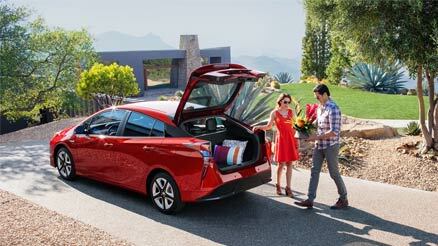 ft. of cargo space behind the rear seats, Prius lets you bring more of your favorite things along for the ride. Need to carry more stuff? No problem. Fold the 60/40 rear seats down for up to 65.5 cu. ft. of total cargo space. Settle in and enjoy some personalized comfort. 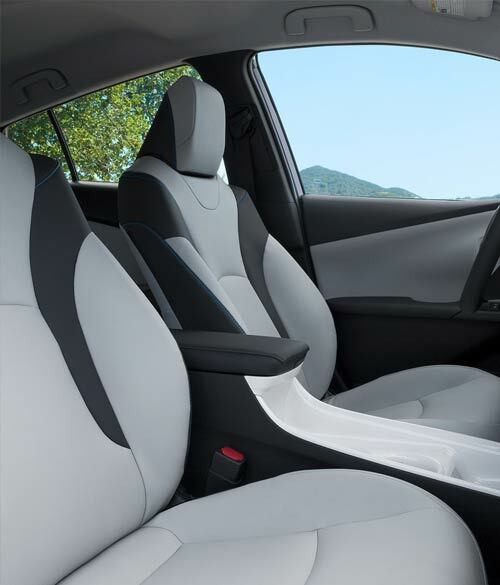 Prius is available with SofTex-trimmed heated front seats, so when the weather gets chilly, the simple press of a button brings added warmth. Technology More tech. More convenience. 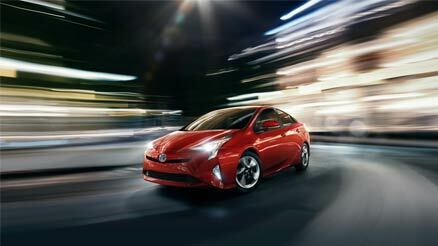 Prius features smart technologies to help take the stress out of parking. 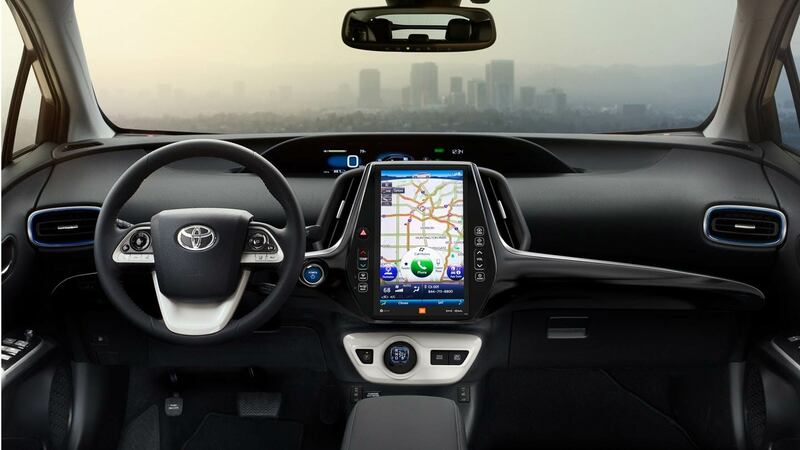 When Prius is parking or slowly pulling out of a space, the available Intelligent Clearance Sonar (ICS) scans for stationary objects, like walls or lampposts. Should the system anticipate a collision, it will emit an audible alert, reduce engine or motor output, and automatically apply the brakes. 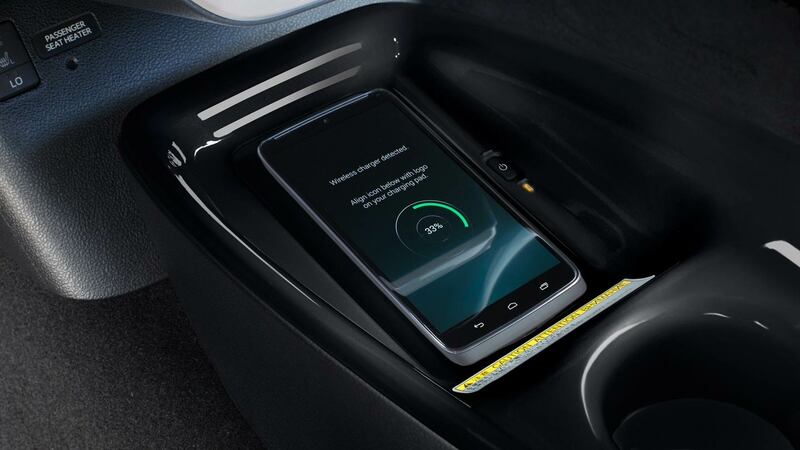 And with available Intelligent Parking Assist (IPA), this system will automatically control the steering and help guide you into an open parking space. Standard on Prius Four and Four Touring is Toyota’s impressive 11.6-in. HD multimedia display. Intuitive pinch, zoom, tap and swipe gestures create a familiar tablet-like experience, giving you easy access to the features that matter most. Access your favorite music via the Entune Premium Audio system, adjust the smart-flow climate control, or find your way with the navigation system—whatever you want to do, you’ve got the power to do it all. Get in and get on your way. 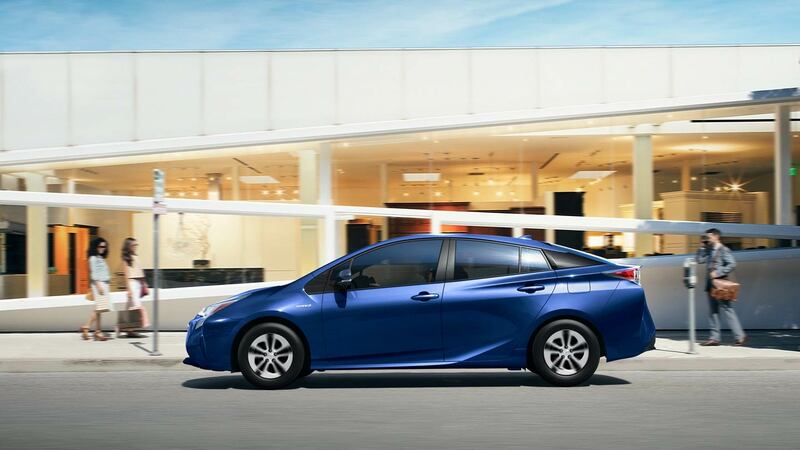 When you approach Prius with the standard Smart Key System, you can easily lock and unlock the driver's-side door by touching the door handle. And once inside, you can start it up with just the push of a button. Radio and Technology: Entune™ Audio — includes Entune™ Multimedia Bundle (6.1-in. touch-screen display, AM/FM CD player, six speakers, auxiliary audio jack, USB 2.0 port with iPod® connectivity and control, advanced voice recognition, hands-free phone capability, phone book access and music streaming via Bluetooth® wireless technology), Siri® Eyes Free, and integrated backup camera display. 4.2-in. color dual Multi-Information Display (MID) with customizable screens including Energy Monitor, Hybrid System Indicator and Eco Score, Eco Savings Record, Drive Monitor, Eco Wallet, Eco Diary, climate control, driver support systems, audio system content and navigation system content. Radio and Technology: Entune™ Premium Audio with Integrated Navigation and App Suite — includes Entune™ Multimedia Bundle (7-in. high-resolution touch-screen with split-screen display, AM/FM CD player, six speakers, auxiliary audio jack, USB 2.0 port with iPod®47 connectivity and control, advanced voice recognition, hands-free phone capability, phone book access and music streaming via Bluetooth® wireless technology), Siri® Eyes Free,41 Entune® App Suite, HD Radio™24 Technology, HD Radio™ Predictive Traffic and Doppler Weather overlay, AM/FM cache radio, SiriusXM® Satellite Radio with 3-month complimentary SiriusXM All Access trial, Gracenote® album cover art, and integrated backup camera display. Access to Entune® App Suite is subscription-free. See toyota.com/entune for details. Radio and Technology: Entune™ Premium Audio with Integrated Navigation and App Suite — includes Entune™ Multimedia Bundle (11.6-in. HD multimedia display, AM/FM, MP3/WMA playback capability, six speakers, auxiliary audio jack, USB 2.0 port with iPod® connectivity and control, advanced voice recognition, hands-free phone capability, phone book access and music streaming via Bluetooth® wireless technology), Siri® Eyes Free, Entune® App Suite, HD Radio™ Technology, HD Radio™ Predictive Traffic and Doppler Weather overlay, AM/FM cache radio, SiriusXM® Satellite Radio with 3-month complimentary SiriusXM All Access trial,20 Gracenote® album cover art and integrated backup camera display. Access to Entune® App Suite59 is subscription-free. See toyota.com/entune for details.